“All sounds greek to me” Hoodie (Unisex) | Trancefamily Greece – 50 th parallel North – Mayence – I-love-Mainz.de | Der Onlineshop für alle, die Mainz lieben! 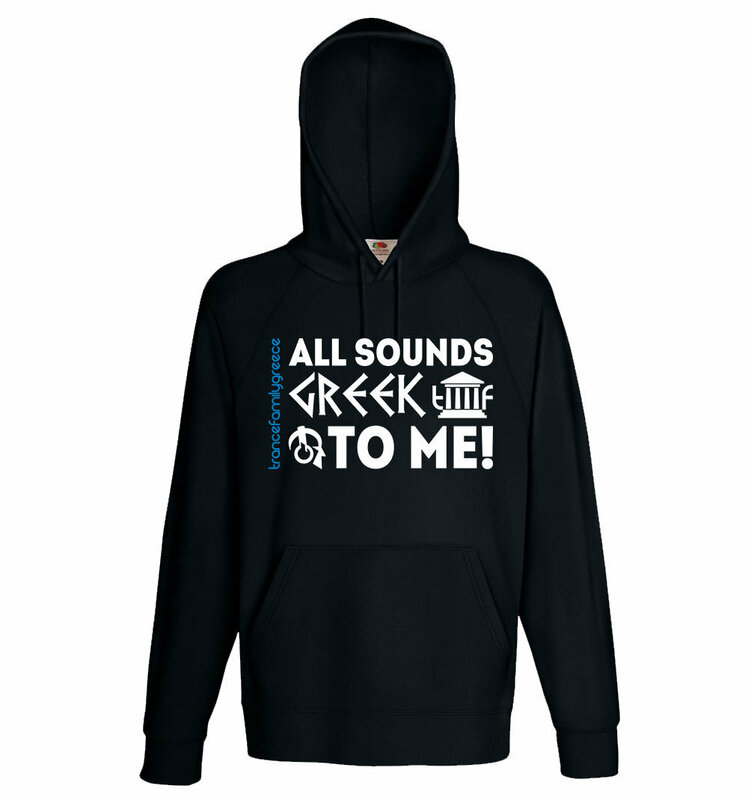 Modern cut Hoodie with large "All sounds greek to me" on the front. Whether in the club or at leisure, with this jacket you show to which music your heart beats faster and that it is a complete way of life. The hoodie are available in different versions and sizes. Please use the options to combine individually according to your personal taste!